♥ Mama 2 Multiples ♥: Dial Baby Body and Hair Wash & Dial Kids Foaming Hand Wash Review & Giveaway! 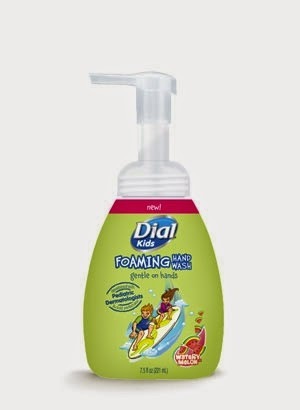 Dial Baby Body and Hair Wash & Dial Kids Foaming Hand Wash Review & Giveaway! 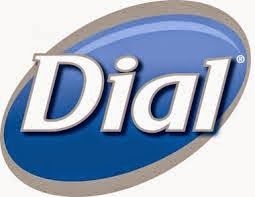 I have purchased and used Dial products for quite some years now, and have never once been disappointed in their products. I received the opportunity to review some Dial products in the past as a Purex Insider, and recently received that same opportunity with a couple different products. 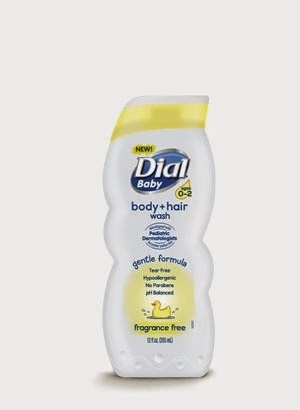 For this review, I received Dial Kids Foaming Hand Wash, along with a bottle of Dial Baby Body and Hair Wash, which is a newer product from the company. With four little ones running around our household, keeping germs at bay and far away is a must if we can prevent it! So, hand washing happens quite a bit here! This foaming hand wash is perfect for their little hands! As the label eludes to, it's foaming, so there isn't any work as far as working up a good lather. Simply dispense it, and rub vigorously to clean before rinsing! The bottle fits perfectly in the children's bathroom right next to the faucet and within reach for all the kiddos and guests in our home. 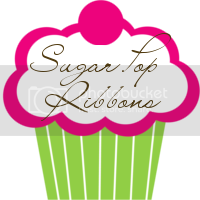 The scent is wonderful too...watermelon, how can you go wrong?! As you can expect, bath time happens every night in our home as well. I had previously used Suave products or Johnson and Johnson nighttime baby shampoo and body wash. I will always be a fan of Johnson and Johnson, but the Suave products sometimes didn't seem to last long because we had to use so much to work up a good lather and really get the children nice and clean. Sometimes they still didn't smell much cleaner than when we started, either, which was always frustrating. I was eager to try this new Dial for baby product to see how different it was. Kendall greatly enjoyed washing her hair with her new Dial body and hair wash! Though it says for baby, I have chosen to use it on Mason and sometimes even the older kiddos as well, just because it works so well and is such a hit in our home! This product is definitely a new staple must have in our bathroom! Now, for the FUN part! I have THREE coupons for one FREE Dial Baby Body and Hair Wash OR Dial Kids Foaming Hand Wash for some lucky readers of Mama 2 Multiples! To enter, simply follow the instructions in the form below! Ummmm, you may want to remove the photo where your son's private part is showing. There are a LOT of pedophiles out there that would get off from that. It's a sick world we live in unfortunately. My hubby majored in computer forensics & security. It would make you ill if you knew what these sickos do with photos like that. Just a friendly suggestion from one mom to another.